Stunned at how useful this plugin is! I accomplish getting the low end to sound exactly as I want without really affecting anything else. Very useful when EQ alone won't do the job. Totally worth it! Gives me that low end I need that regular eq can't give. I can't believe. that I waited this long to get this, I don't realize how much I needed it until I got it! I was always sceptic about sub harmonic generators. Brainworx nailed it. Great and fresh on bass and kick, but also - surprise - on multiinstrument bus Easy way to pimp your mix! I trialed it and it worked well, but the more I use it the more short comings I notice. Doesn’t always track well, makes some weird noises at times. When it works well I love it. I have this sitting in my Mix Bus. It does exactly what I ask it to do to my low end. 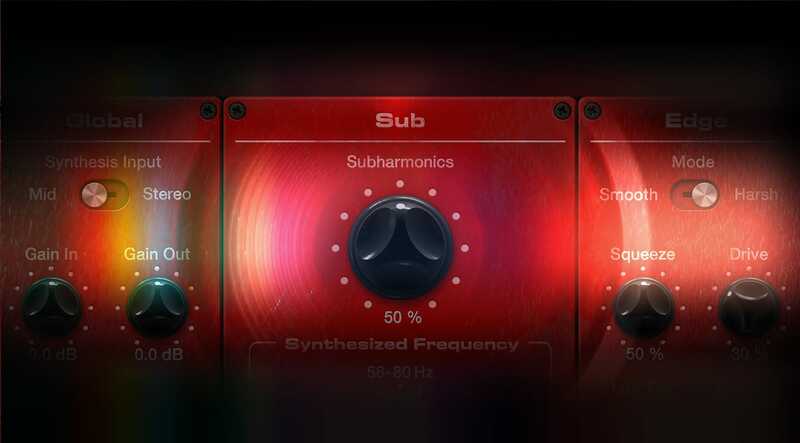 With this plugin your basslines will sound deeper than Mariana trench. This plugin is quite interesting. It really has a way of shaping the low end. It has a bit of a learning curve, you can EASILY over do it with this one. Make sure you have the proper monitoring system so that you can really take advantage of the subtle changes this thing can make to your bass/kick instruments. It sounds lovely when you get it right, you just have to take the time with this one, definitely not a one click magic trick type of plug. Great for bass, very easy to use. great product IMO! Well, I was recording my 75 Jazz Bass with flatworms strings directly into a LA 610 into my Apollo Quad set up. I sounded great as usual. When it came to mix the track I snooped through my faves and put my regular Pultec into the Bass. Just for fun I clicked a demo of the bx and implemented it on the track.The sound instantly transformed into a groovy,gritty,lively and FAT bass sound which exists PERFECTLY with the kick, a very bass heavy TR 808.....Highly recommended!!! For me, this is THE plugin for managing bass. It gives you control over how to shape and beef up the low end with minimal distortion - something so far not possible with other plugins. I wish it had come out sooner! Kudos to UAD for another banger!